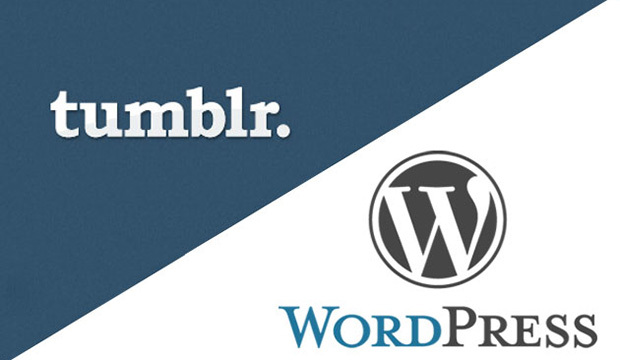 Is tumblr the right blogging platform for your brand? 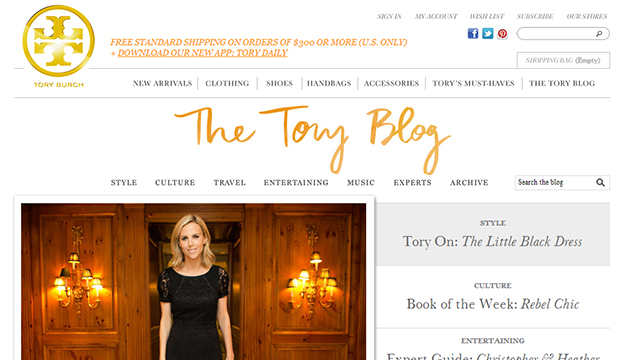 Do you have blog for your brand? I know, you’ve got a lot to do. But blogging is really important for reasons ranging from SEO to customers relationships. When it comes to choosing a a platform for your blog, you may want to go with WordPress, which definitely has it’s advantages. Or you may be considering tumblr. A lot of brands ask about the benefits and “is tumblr a good blogging platform for a MY brand?” Here’s one way to look at it. 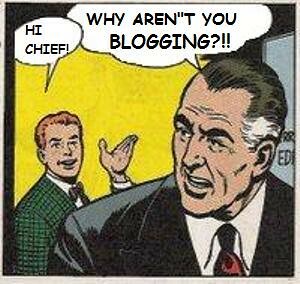 Do you want a blog that people are excited to engage with? Do you want a community that is hungry for your visual content? Do you want a blog that people “re-blog” today, tomorrow, and even 6 months from now? Do you want a blog that allows fun features like polls? Do you want a blog that you can post to on the go? If you said yes to even a couple of the above questions, then tumblr may be the blogging platform for your brand. tumblr is not just a blog, but an online community of people who are creating, curating, consuming, and sharing content every minute of every day. Consumers are there for one reason – to find and consume content they are interested in. So why not be where your consumers already are? tumblr is extremely effective for visual friendly brands such as those in the fashion industry. Brands like Nordstrom, Club Monaco and others have taken full advantage – including letting it be another path to purchase for their brand lovers. Furthermore, influencers in the fashion industry realize it’s another place that an audience will love to check out brand collaborations. To read more on the benefits of tumblr and why the advantages could be right for your brand, check out my full post on Startup Fashion! When you decide to jump into the sea of blogging, planning is important. Many brands choose tumblr and there are many great reasons to do so – including the built in community, which already lives on tumblr (not found anywhere else), the ability to discover content easily, and the paid options only available within tumblr. When choosing tumblr to be your platform of choice there are a few things to check off as you set it up. Choose a domain: Find one for your brand name of the theme for your tumblr. If you see your brand name is available and no one is actively blogging on it, I would grab that too. Choose a theme: Depending upon your marketing goals, it’s usually helpful to choose a specific theme to focus your blog around so your consumers understand the focus and know what to come back for. Set up multiple tumblrs: However, if your brand has a few different themes to pursue, perhaps it’s easier to set up a few different tumblr blogs on different themes. Companies like IBM have done that and it has worked well for them and their origination and curation of content. Customize your tumblr: There are a multitude of themes on tumblr to choose from for easy set up (free and paid versions). Then you’ll need your dedicated development team to make it your own. The great part about tumblr is you can make the look and feel anything your brand wants. Include disqus: Disqus (or another commenting tool) will have to be added to your tumblr to allow comments and moderation of those comments. Schedule posts: When launching a blog it’s good to be armed with 10 – 20 posts ready to go. Schedule when your team would like to launch them in the first few weeks (perhaps 3 to 4 in the first week). Be a part of the community: As you launch your posts, don’t just push them out and wait for others to come. Find other content it – like it, comment on it, and consider re-blogging some for curating content. Activate paid (including analytics): When your brand has the initial budget to do so, consider using some paid media within tumblr to increase eyeballs on your new tumblr. There are a few different options depending upon your needs – for example mobile vs. web in stream ads. Test and learn posting times, days, tags: Experiment with the best days and times to post your content (as there are no specific best practices and depends upon your content, your brand, and your audience). See which tags work best for getting people to discover your content, consume, and share it. Note: This post was originally written for Social Media Club and my full post can also be found here. Publishing is no longer just in the hands of magazines and newspapers; brands have the opportunity (as many have realized) to provide the value of content to consumers through video, blogs, infographics, and much more. Today the brand is the publisher. When brands start creating and curating content it is normally through a blog or landing page that consumers are directed through to other channels. 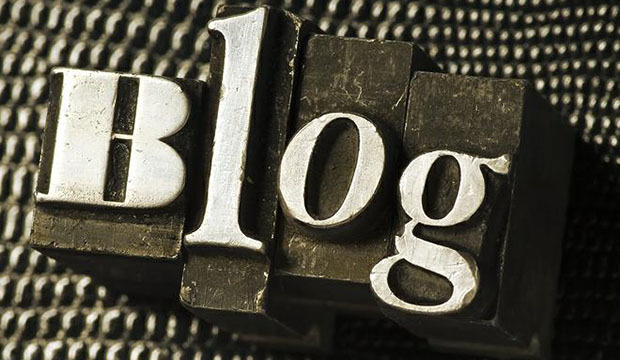 Does your brand have a blog? Is it ready to make the investment in writers and quality content to keep loyal fans and accrue new ones? Evaluate what your audience is clicking on; spending most of their time consuming, and what keywords drive them to your website. Where are the gaps…fill them in. Determine the 2 to 4 buckets your brand can focus on and test and learn and optimize the content accordingly. Note: your strategy will change with time and so will your content buckets. Be ready and willing to adapt. To read my other 2 imperative tips for a blog content strategy, please check out my full post on Startup Fashion! Thanks! The importance of starting a blog as an independent fashion designer is based around a solid way to tell your story, drive traffic to your website, and allow your brand to grow a loyal fan base while allowing for a deeper look into the brand. Creating regular and consistent content and publishing out to your social channels can create awareness for your brand. The key is to have content that is valuable to your audience whether it be “how-to”, tips, expert advice, highlighting your products through lifestyle content, or a blend of content types. That awareness will then lead to sharing of content on your fans’ channels for greater awareness, and in turn can drive traffic to your site for your products. Your content, which will be engaging through multi-media such as photos and videos of your lines, can drive traffic through SEO (taking advantage of keywords and tags) as well as from referrals, influencers, and your loyal audience. Your blog can easily become the vehicle that leads traffic right to your products – whether it be your current or future fashion line. To read the other 3 reasons why your brand should consider a blog, please read my full post on Startup Fashion. Thanks! Starting a fashion blog is not always as simple as one, two, three – but platforms like Tumblr and WordPress do help in making it a little easier. Luckily they are both fairly easy to use and provide many options for templates as well as customization. The tough part is choosing which platform fits your needs and wants for the perfect place to host your vivid content. In short, Tumblr is free and WordPress is not. However, if you care less about having your own domain used then you could use the free wordpress.com site instead of wordpress.org. This is definitely not advised as there are less options for customization and limited features. With WordPress.org the cost is not for the site, but for the hosting, design and development of customizing it. Note: Tumblr cannot be hosted elsewhere. The blog would be hosted on Tumblr itself. WordPress is scalable and can be customized with widgets and custom CSS to a full blown out website if desired. WordPress easily supports widgets and plugins which can be added simply without worrying about hard coding, while Tumblr must be custom coded for similar functionality and plugins. To read the rest of the differences (and you definitely want to know about SEO) between WordPress and Tumblr (including my bonus tip), check out my original post for Startup Fashion here. Are you a designer with a blog that supports your brand? Which platform do you use? Do you like it? When managing your online presence – it is not enough to just have a Facebook profile page, a Twitter Handle, LinkedIn profile, and a website/blog up and running. There are at least a few social media management items you want to make sure you have tackled in order to increase your personal brand awareness. 1. Email and Social Profiles: How many times a day do you use your email? Countless, correct? Well, WiseStamp is a simple tool for adding your social links to your email signature — so every time you compose an email and/or respond people will see where else they can find you with the click of a button (see image below). For other options you can check out this Toolkit on virtual business card options. In addition to your email signature, make sure your website has the links to each of your social profiles, and is easily visible to new visitors. People like things at their fingertips, and having your social links easily visible is key to driving more traffic to your social profiles. In addition link your social pages, such as on your on your LinkedIn, have a link to your website, Twitter, etc. Make it easy and simple for people to find you, with the click of a link or a button. 2. 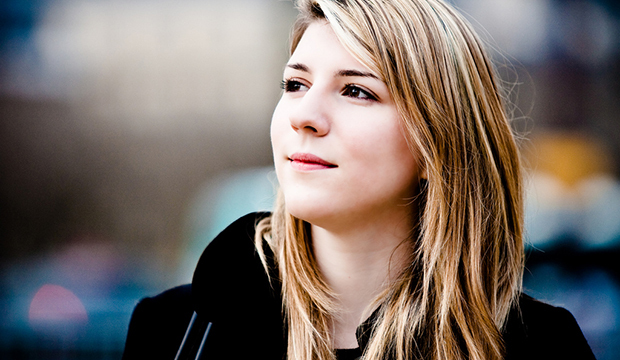 Consistent Personal Brand Image: A consistent image across social platforms can be helpful. For example, if you have a different pictures for each platform, people may be confused and unsure if it’s really you, when searching. If you have a consistent image across your platforms, it will be easier to find you and it will create a cohesive and consistent message about your personal brand. A helpful tool is using Gravatar, which allows you to have “an image that follows you from site to site appearing beside your name when you do things like comment or post on a blog” as well as on your own sites. Not only is it a globally recognized avatar, but it’s easily linked to WordPress. 3. Search: When you Google yourself, what is the first result? If it’s not your website, blog, and/or other pages, then you have a problem. 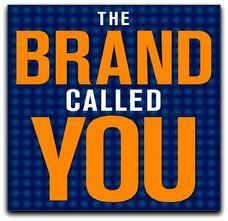 If your name comes up first, it will also demonstrate that you are an authority in your brand category. Thus, some effort and time may be needed for SEO marketing. You can learn to do this for yourself, or you can get some assistance by companies who are pros at this. A couple things to remember when getting started: identify keyword opportunities (for your blog, your videos you share, etc) and do not forget the importance of inbound links to your site. Part (1): I know some people believe that it is good to differentiate, keep your personal stuff, personal and your professional stuff professional. If you have two Facebook pages, it appears you have a double life and it can be confusing and it definitely adds to the clutter. I understand if you’re afraid to share certain things like particular pictures or videos. However, that’s what privacy settings are for. They allow you to be smart, and still share be “human” with your brand. So why live a double life, when you can live one great one? Part (2): If you are focusing on your personal social sites, do you identify who you work for in your Twitter bio and in your blog? My suggestion would be to add a disclaimer on your blog. For example, Julia Roy has such a disclaimer on her blog which states, “The views expressed on my blog and social networks are mine alone and do not necessarily reflect the views of my employer, Manilla.” This way you protect yourself, and the place you work with against any issues that may occur regarding tweets, posts, and/or other items shared on your personal social sites. 5. Protecting Tweets: Afraid to share your tweets with anyone and everyone? Well that’s the point of Twitter community — sharing you tweets is key to (1) building your personal brand awareness on a main social platform, (2) letting people find and follow you easily, (3) sharing relevant content to all those who may be interested, and (4) engaging with people in a real and open-door manner. About.me: A newer tool that is awesome for pulling all your social platform information to one place, one profile, and best of all – with a clean and crisp presence. This tool allows you to create a profile page that contains a succinct bio, and links to all your other social platforms and web pages. Thus, it’s everywhere you exist, but in one place — making it even easier for people to find you and be aware of your personal brand. And the price is awesome: Free. Flavors.me: A platform that allows you to show all that you are on one page including photos, videos, blog posts, feeds, and even your resume if you so wish. The pull of this tool is that it is very interactive and visual. It gives you the opportunity to be creative with your one page of content, yet keeping it simple for people to view who you are and where you are present on the web. Free sign up.